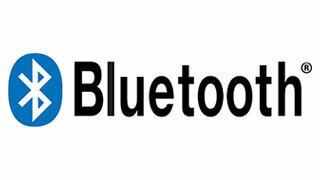 Hot items of the month would have to be Bluetooth wireless cellphone technology. in California, there is a law that states that cell phone use and texting is prohibited while driving. Bluetooth resolves this. Not only does Blue Tooth technology make driving much safer, but the ease of operation is amazing and now, believe or not, we have car stereos that will actually read text messages to you while you drive! Alpine JVC and Kenwood do a great job of stereos with Parrott brand Bluetooth built into their head units, starting at $249.95, which is very reasonable considering Parrott Bluetooth modules sell for $200.00+ which doesn’t include installation and labor can be as much as $200.00 alone. JL Audio, Boston, Alpine, Memphis Woofers get better and better every year. amazing what adding a woofer does to a stock system, for as little as $200.00, you can use your factory head unit add a 10 or 12 inch woofer, and “shazam” a nice system that is stealth! During our fall clearance of car audio and vehicle electronics and stereo system accessories, what a great time to take advantage of some steals of deals in the car audio, marine boat audio and vehicle audio. You gotta come check us out. All product at 10% over cost, while supplies last….and of course everyone has a I pod, well we have Ipod interfaces stating at $79.95, that work on 90% of all vehicles, and installation can be fairly simple for you do-it-yourselfers. So come check us out and take advantage of our fall clearance. And don’t forget to check out our Black Friday Specials.